Can Japan Break Its 'Nuclear' Addiction? Japan’s past suggests it must renounce nuclear power, as must other nations, notes John W. Traphagan. Recent mass demonstrations against restarting nuclear power plants in Japan should give the Japanese government pause as they consider the future of Japan’s energy needs. Perhaps no population in the world is more sensitive to nuclear danger than the Japanese, having experienced nuclear attack in World War II and the Fukushima disaster of 2011. 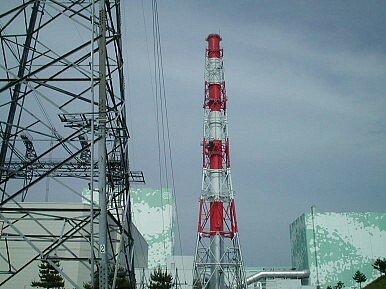 Although it seems prudent in the short-term to restart some of the nuclear plants—power shortages are expected throughout the summer and in the foreseeable future if the nuclear plants are not restarted—the Japanese public has shown a willingness to conserve energy in order to cope with the difficulties caused by the Fukushima disaster, and it appears that large numbers of the Japanese population are at the very least quite uncomfortable with the prospect of nuclear power in the future. Safety concerns over further use of nuclear power in Japan are important and the honesty of the nuclear industry in Japan is less than reliable. Recent data indicates that the Hokuriku Electric’s Shika Power Station may be sitting on top of a fault line, despite the company’s claim to the contrary in the late 1990’s. While residents of Fukushima Prefecture will be coping with the disaster for many years, the problems are considerably more extensive than the immediate area surrounding the nuclear plant. For example, dairy farmers living in the Tôhoku region were forced this year to overturn soil used for producing hay and corn to feed cattle due to concerns about radiation levels. Costs associated with re-tilling the land have been subsidized by the Japanese government, but the work requires a considerable amount of additional effort on the part of farmers, many of whom are elderly. This represents a fairly minor issue compared to what people who live or lived near the Fukushima power plant are experiencing, but it underscores the fact that a nuclear disaster such as the one experienced in Tôhoku produces long-term effects, many of which are unpredictable. Shortly following the Fukushima disaster, then Prime Minister Kan expressed the policy goal of ending Japanese dependence upon nuclear power in the future. But the recent decisions to restart nuclear power operations in Japan question that goal and also fail to respond to the voice of a strong and growing anti-nuclear movement. The current crisis presents an opportunity for the Japanese government not only to respond to a public wary of nuclear power, but also to take the international lead in supporting and developing alternatives to the nuclear option. Indeed, despite the Fukushima disaster and objections by the Chairman of the Nuclear Regulatory Commission, early in 2012 the U.S. government approved plans to build a new nuclear power plant for the first time in 30 years—a decision that seems imprudent, at best, and has the potential for disaster associated with any nuclear power plant. We can assume that safety protocols for new construction of power plants, at least in some countries like Japan and the U.S., will be better than those used at Fukushima, and it appears that human error played a significant role in the course of the Fukushima disaster. But the fact remains that when things go wrong, the destructive force of nuclear power is devastating and very long-term. While there may be a short-term need to restart some of the nuclear power plants in Japan, the Japanese government should accompany any restarts with a widely publicized, decisive, and well-devised plan for eliminating nuclear power in the future. And that plan should be publically debated and put in place before restarting nuclear plants. It should also voice opposition to other countries, such as the U.S., that plan to build additional nuclear power stations on the grounds that the continued use of nuclear power involves environmental risks that outweigh the benefits, particularly when investment in new and emerging technologies has the potential to produce methods for generating clean and safe energy. Nuclear power is not a safe solution to the world’s energy problems—the Fukushima disaster is strong evidence in support of that position. The Japanese government has an opportunity to take a stand and provide world leadership in moving away from dependence upon nuclear energy and it should take advantage of that opportunity. Tokyo’s new plan to focus on alternative energy will have global political and economic consequences.